Saturday 16th September 2016 marked 3 years of our relationship and of course, we just had to celebrate in style. 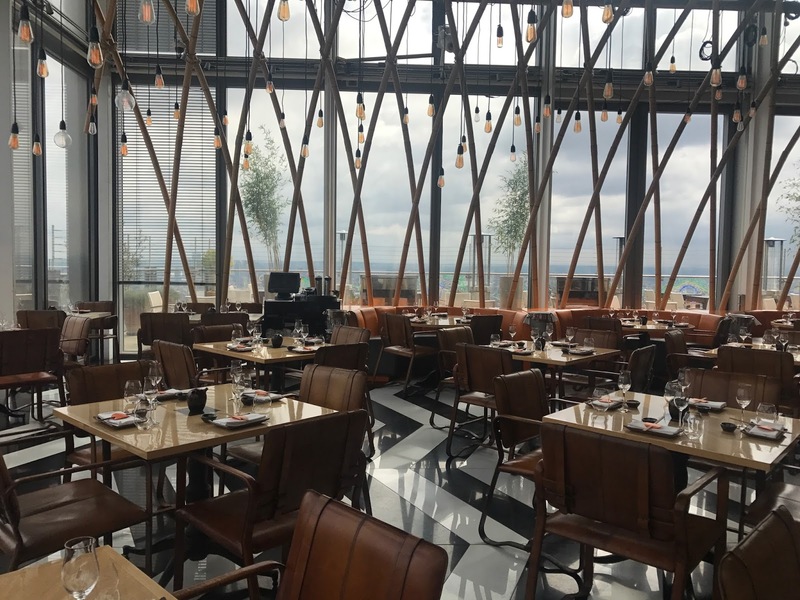 There are many places in the world we want to eat and if you’ve read our post on where we would eat if we won the lottery, you’d know that Sushi Samba was on that list. 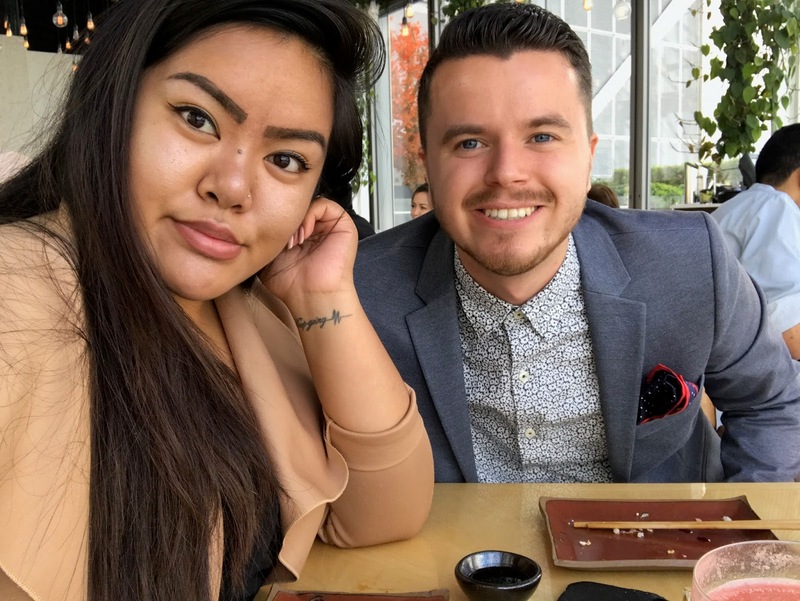 A few weeks ago, we didn’t have a solid plan on what we wanted to do and due to having travelled around Europe and spent so much money, we were happy to take it easy for our anniversary. But little did I know the romantic James had booked us a table here at Sushi Samba for lunch. Sushi Samba is located on the 38th floor of Heron Tower, which we have been to a few times before for Duck & Waffle, which is on the 40th floor. Tables get booked up here months in advance, so we were extremely lucky when we checked about 4 weeks ago when a table for 12noon popped up – we snapped that up as soon as possible! It was quiet when we first arrived, although it quickly filled up in the couple of hours we were there. We bagged a table with a fantastic view spanning the entirety of London, and could even spot where we’d be heading afterwards – we stayed in an AirBnb that night in Stratford. Anyone who’s had it before will know that any kind of sushi doesn’t come cheap, so coming to a place like this is always going to burn a considerable whole. We gave ourselves a budget of £100, and chose accordingly. The bill ended up coming to £127, but with service charge and our inability to resist dessert, we couldn’t complain and we did not regret it one bit. The meal was amazing. 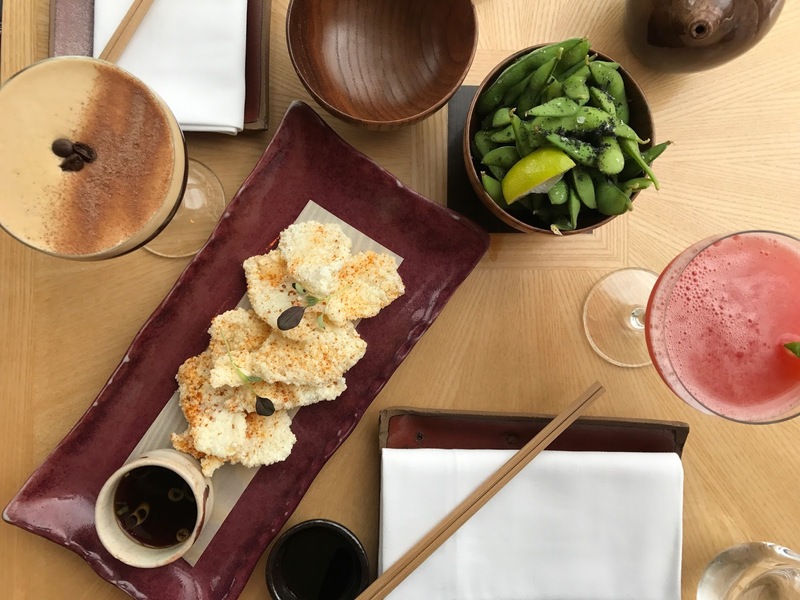 We kicked things off with edamame and salt and pepper squid – to be honest with you whilst we enjoyed it, we felt the squid could’ve done with more flavour as it came across as quite bland. But thankfully, that is where the criticism ends. Next up we shared one of the large plates – Sea Bass Tempura. The fish was beautifully tender and almost melted in the mouth, and the vegetables gave all the kicks and different textures you could hope for. The sauce contained in a pipette tube to drizzle over was pretty cool too! 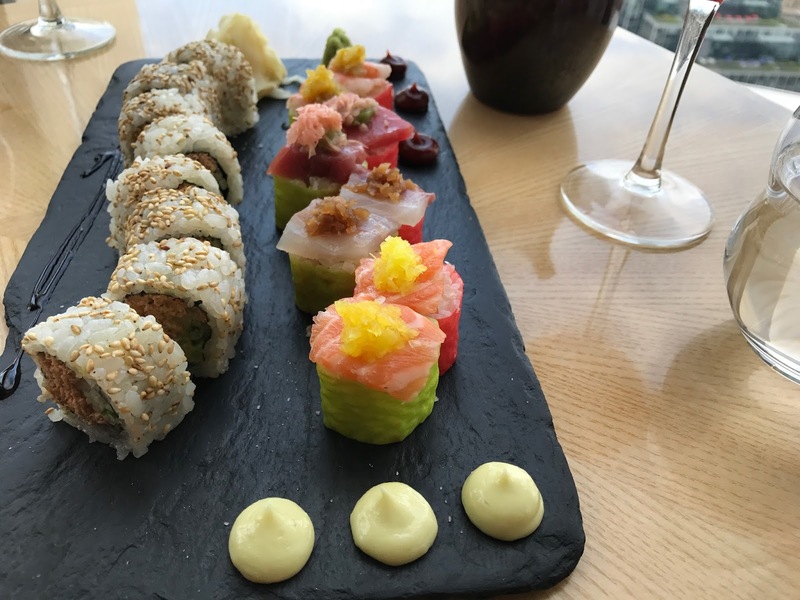 To follow the large plate, we chose two Samba rolls, this based on that the Samba London seemed to be their signature classic and included a lot of different varieties of fish, and the California Maki on the basis that we both love crab, but hardly ever have it. We agreed that this was our favourite out of the lot. The wasabi and Japanese mayo added great twists to the taste of each roll, although they probably didn’t need it. Packed with flavour and quality ingredients, it was the best sushi we have ever had. As we always do, we decided to “just have a look” at the dessert menu, but Jessica convinced us to get the assorted mochi – it was a really good choice! 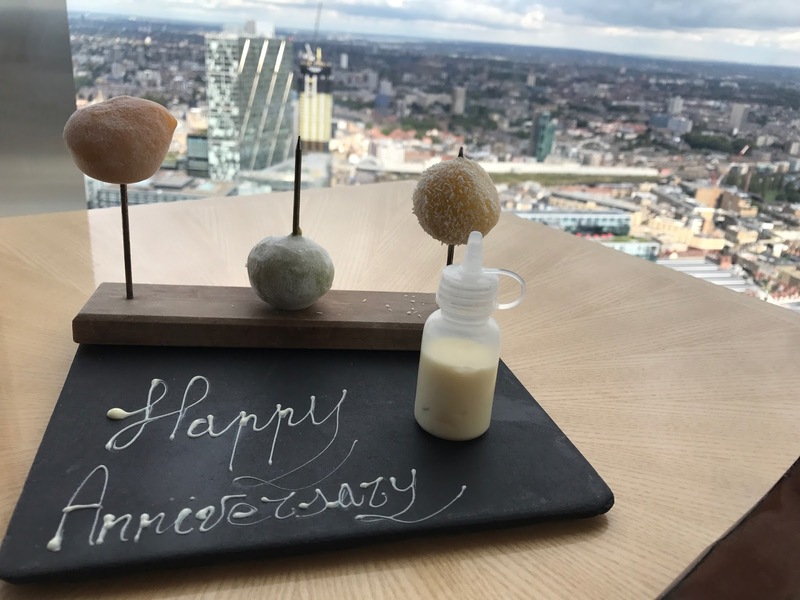 The restaurant knew it was our anniversary so made the special effort to congratulate us in the form of white chocolate! Each ball had a different flavour of ice cream and all were delicious. It was the perfect end to a fantastic meal. Once you’ve had a good range of it, it’s easy to tell when sushi is quality and when it’s not. 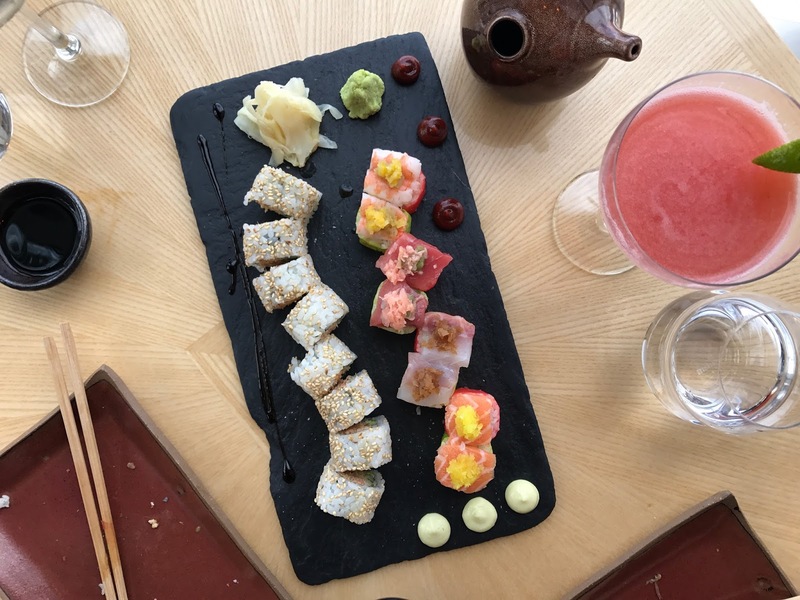 Having been to Sticks n Sushi a couple of times in Covent Garden, it made us very excited to see how it would compare to Sushi Samba. 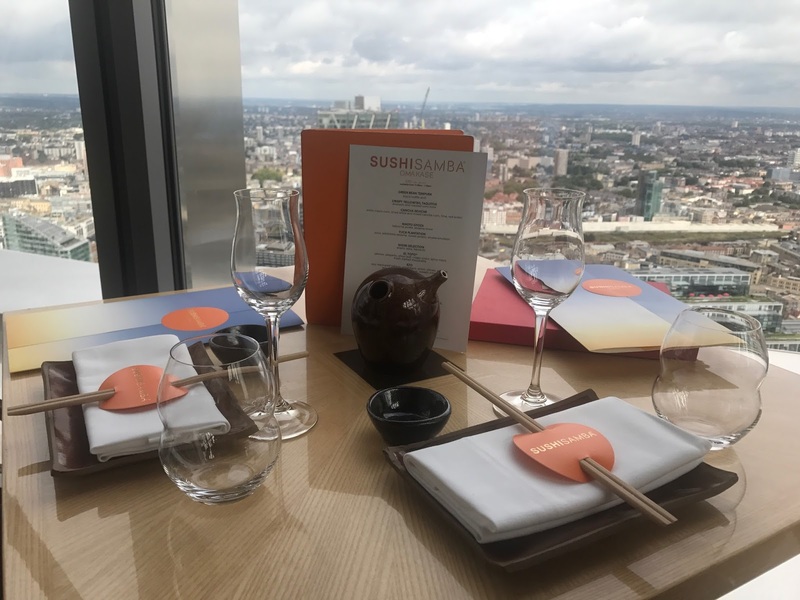 Their food is more or less on par, but the setting, views and experience of Sushi Samba sets it far above the rest – literally! What a fab anniversary meal! Also you know the coolest venues to eat in London. Cute. 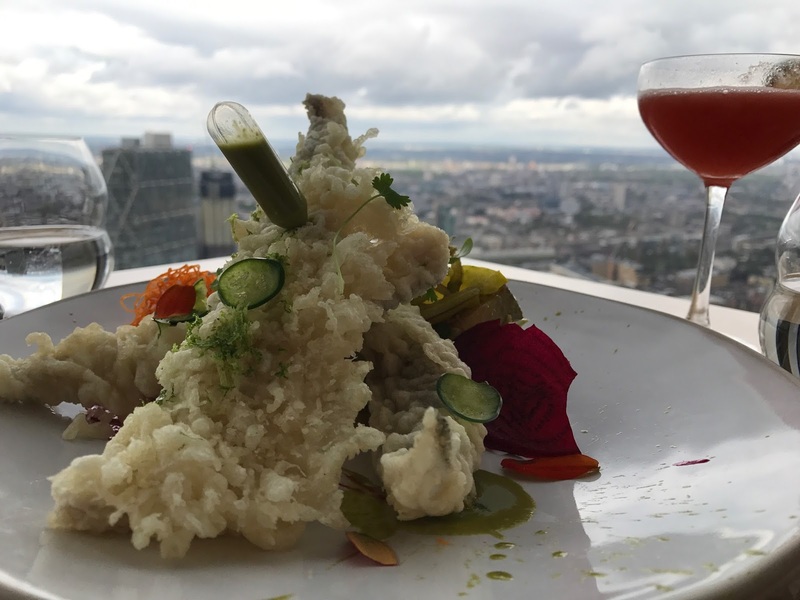 I don't eat anything that lives in the sea but I love SushiSamba for cocktails and views! The view and cocktails look amazing. The perfect place for an anniversary meal. I only tried sushi once years ago but I would like to have some again. That restaurant seems like a lovely place. The dessert in particular looks delicious, I love both ice cream and white chocolate!! Happy Anniversary!